Deontay Wilder's team will engage in talks over a fight with Anthony Joshua after the WBC champion's bout with Tyson Fury, according to Shelly Finkel. Eddie Hearn, Joshua's promoter, last week revealed he has made "significant" progress in discussions about the prospect of striking a deal for Wilder and the IBF, WBO and WBA champion to do battle. Hearn has been in dialogue with Al Haymon, a member of Wilder's advisory team, after growing increasingly frustrated at failing to arrange a meeting with Finkel, the American's co-manager. 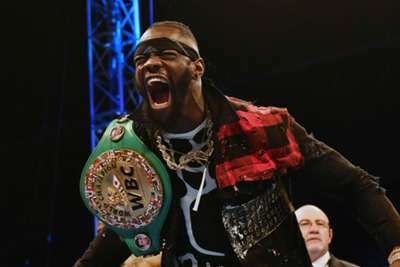 Finkel responded by stating that he is open to getting around the table with Joshua's team after Wilder has defended his strap against Fury in Los Angeles on December 1. He told Sky Sports: "After the fight, of course. [Wilder's team are open to discussions]. There's nothing to talk about before that. "After December 1, I would be glad to talk to him [Hearn], or his Barry [Hearn's father], or both." Finkel added "that's up to them" when asked if an agreement can be reached for a fight next year.